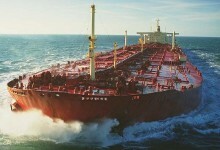 Environmental problems associated with ships have in general arisen in two principal ways: first, as a result of maritime accidents, which have sometimes caused large quantities of oil or chemicals to enter the sea, or resulted in substantial operations to remove hazards posed by wrecks; and second, through operational discharges of waste materials generated by ships, involving the release of pollutants in smaller but cumulatively significant amounts. International rules to prevent these problems likewise fall into two broad categories, consisting of those concerned generally with ship safety standards, and those dealing specifically with measures to prevent and control pollution. Regulations concerned with ship safety standards have generally had safety of life as their main purpose, though protection of the environment and preservation of property are also recognized as important objectives. The primary international instrument in this area is the Safety of Life at Sea Convention, 1974 (SOLAS), together with the regulations and codes of practice which form part of its regime. The chief international regime specifically directed at preventing pollution is the International Convention on the Prevention of Pollution from Ships (MARPOL). Other IMO Conventions to prevent pollution from ships include those adopted to control harmful anti-fouling systems on ships, and to regulate ballast water management. International rules have also been adopted to control dumping at sea and to promote prompt removal of wrecks. These various international regimes are discussed in Chapter 23 of Shipping and the Environment, ‘International Rules to Prevent Pollution from Ships’, and in Chapter 27, ‘Removal of Wrecks and Dumping at Sea’.